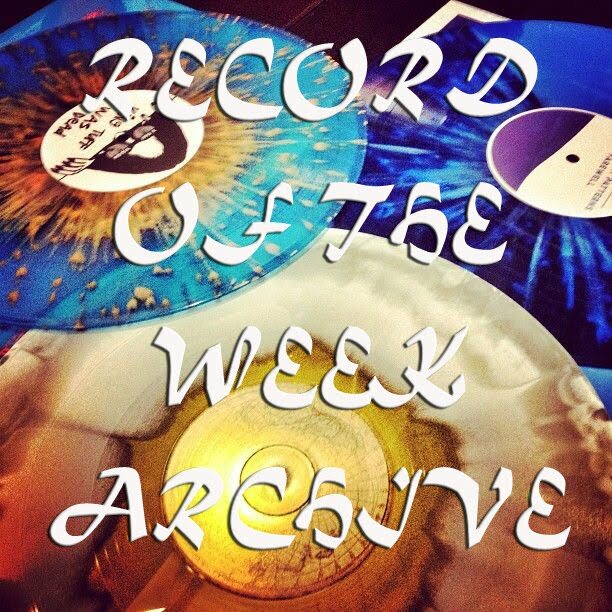 New week, it's time to introduce "Record Of The Week". 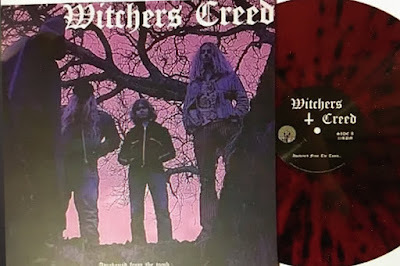 "Awakened From The Tomb..." is the debut release from the Swedish doom metal outfit WITCHERS CREED, the album was released on 22nd February 2019 at the American label Ripple Music. WITCHERS CREED were formed 2017 in Katrineholm, Sweden by Filip Andersson, Emil Bjällerhag and Charlie Rangstedt and Emil Lundin. 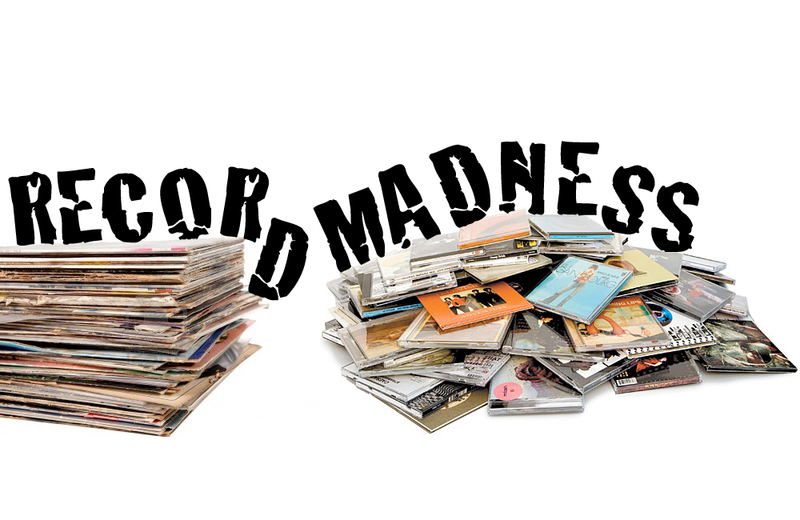 Strongly influenced by classic bands like BLACK SABBATH, DEEP PURPLE, TROUBLE, CANDLEMASS, PAGAN ALTAR, PENTAGRAM, JUDAS PRIEST, ANGEL WITCH, and IRON MAIDEN. 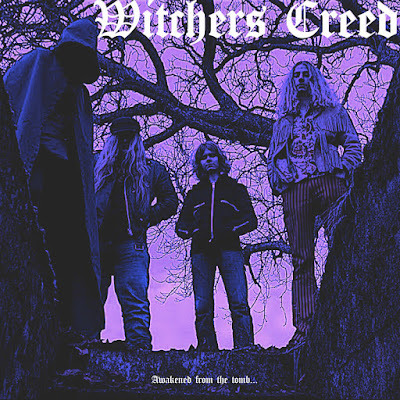 After being together in high school in a former band called ILLUSION, Sophmore year (second year) of high school in late 2016, WITCHERS CREED was born. There was no time to lose. Filip came up with the name, inspired by "The Witcher" and "the Assassins Creed” franchises. And it sounded badass. Emil Lundin sadly departure from the band just in time when the band got signed in May of 2018 to California based record label Ripple Music. Herman Åsgård is his new replacement. The band could be the youngest band in the new wave of Swedish doom scene today. "Awaken From The Tomb..." give you a pleasant journey thru doomish heavy rock, deep heavy and groovy 70s inspired hard rock stoner doom. Filled with face melting guitar riffs, ground shaking bass lines, drums so groovy they sound like they come from space and screaming vocals from hell. And after a few spins, you can feel that they have embossed the style as it was natural floating in their veins. "Depths Of The Black Void" is an amazing piece, drums and a crunchy fat bass line opens up the tune, vocals take a step in before the guitar joins the walk to the depths in this catchy tune. Another fatty bass line opens up "Raven's Claw", a rocker that has a great swing. Some cowbells in opening tune "Witchers Creed" and the straight-up rocker "Victims Of Retribution". A real emotional piece is "Larissa", where the singer really takes in from the toes when he let loose the words. A great guitar swing with a nice solo. 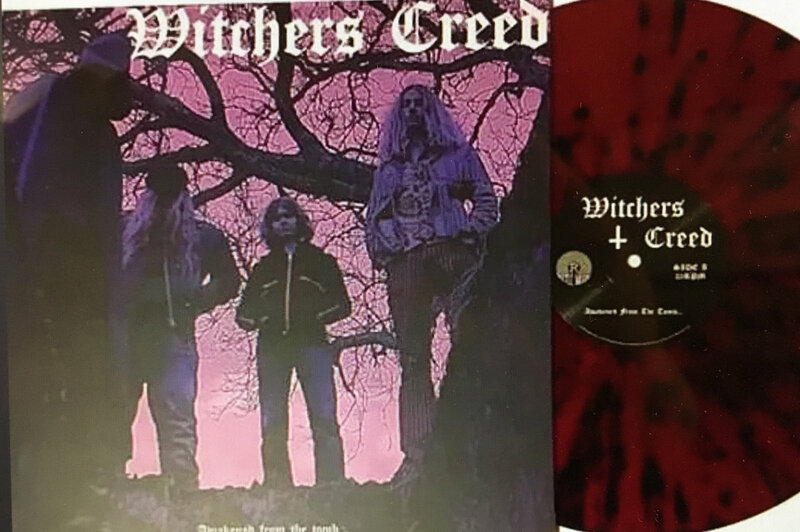 "Rituals Of Decay" is a heavy 8-minute tune, doomish ups and downs with an excellent melody, neat solo, and the singer partly sounds like a mix between Magnus Pelander (WITCHCRAFT) and Pelle Åhman (IN SOLITUDE), me like! "Salem (Resurrection)" is a vintage doom rocker. "Monolith" is another high standard doom cut that takes its wings to spread out to the old doom heroes. The album closes with the title tune "Awaken From The Tomb...", an instrumental beauty with emotional and elegant guitar bonanza. "Awaken From The Tomb" will tip off your chair when you letting this beast on, it's something organic, true, it feels real you know... It's freaking good, and it's hard to believe that this is a debut, well-done lads. 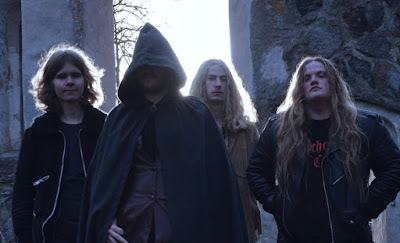 Sum: One of the most promising groups to be emerging from the dark Swedish crypts. 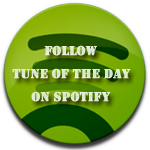 Today's tune "" taken from the debut album "Awakened from the tomb...", enjoy! 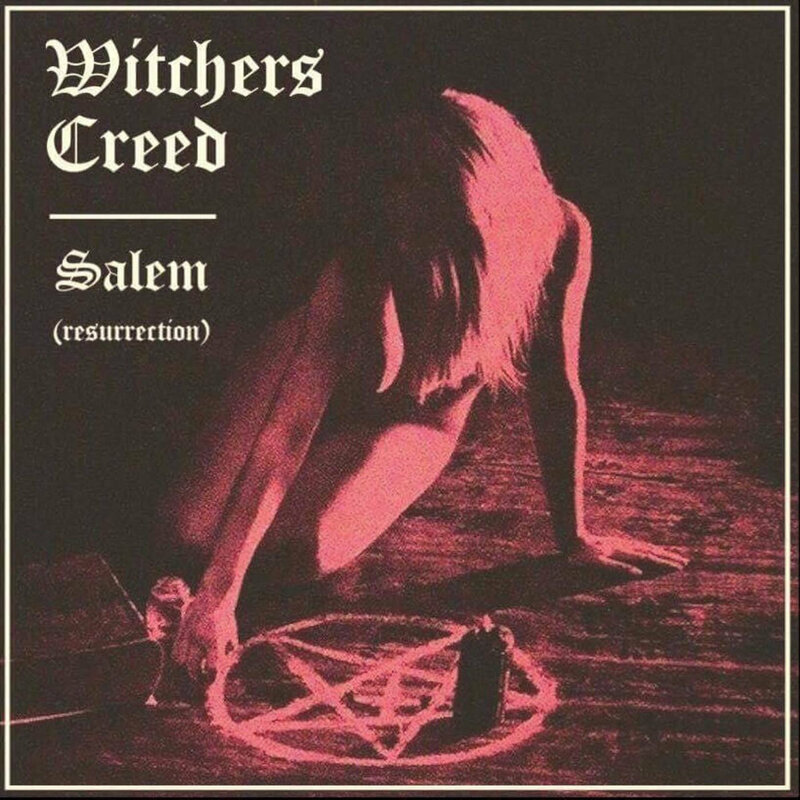 Listen to ”Witchers Creed - Salem (Resurrection)" on Spotify!